Tobias Watkins (1780-1855) was born in Maryland in 1780. He was educated at St. John’s College, Annapolis; graduating in 1798, and received his degree of Doctor of Medicine at the Edingburg Medical College in 1802. About 1803/4 he moved to Baltimore and established his medical practice. In 1808 he published and edited the Baltimore “Medical and Physicians’ Recorder.” From 1813 to 1818 he served as an Assistant Surgeon in the United States Army, and in 1824 to 1830 was Fourth Auditor in the United State Treasury. The first mention of him in Masonic records is in November 1808 as the representative of Washington Lodge, No. 3, of which he became a member about 1805. 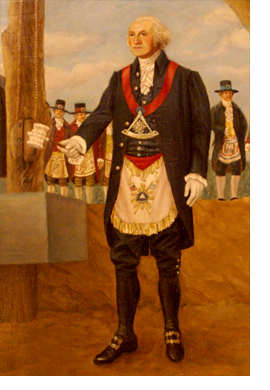 He served as Deputy Grand Master of the Grand Lodge of A. F. & A. M. of Maryland from 1809 to 1813. Upon the death of Grand Master Dr. John Crawford in 1813 he was elected Grand Master, and was again elected in 1816 and 1817. In recognition of his services the Grand Lodge presented him with the first known Past Grand Master jewel. He was an early member of Encampment No. 1, serving as High Priest, as the presiding officer was then called, in 1812. He was a member of French Chapter Rose Croix “La Verite;” also of Chapter “Triple Unity,” and “Sov. Council Sublime Princes of the Royal Secret,” organized in Baltimore in 1819, by the Grand Consistory of New York. He is said to have been, by those who knew him intimately, “an elegant scholar and accomplished gentlemen.” He died in Washington, D. C. in 1855.